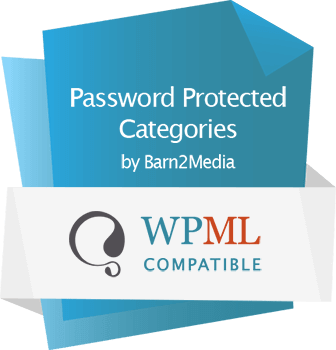 Password Protected Categories is a WordPress plugin that allows you to create private, hidden product areas within your WordPress website. It is officially certified as being WPML compatible. This means that you can use the world leading WPML multilingual plugin to translate the plugin into different languages. Use WPML to add translations for all the posts/pages/custom posts that you wish to include in your protected categories. Note: If you are using the Private categories option, which restricts categories and their contents to logged in users with the correct privileges, then no extra setup is required. This is because people will login using the WordPress login page which is translated by WPML, and you won’t be using the password login form that comes with our plugin.